Great Product they have such a different colors. 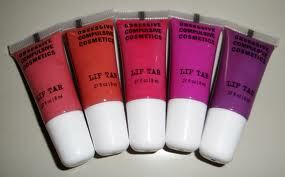 Comes in a tube like Carmex and is thin like a lip paint but thicker than a stain. Use a lip brush to apply thin layer over lips. You can use this with or without a lip brush. I only needed three small pin head size dots to do my whole mouth. 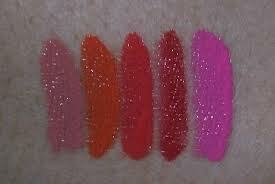 It goes on wet and dries to a matte color that is very pigmented. It's gorgeous. With this my makeup looks different every day. The OCC Tar includes 38 shades. Come in concise range of colors (and black and white!) for a limitless selection of shades made by you. OCC Lip Tar is 100% Vegan and Cruelty-Free, and is also free of parabens and other harsh preservatives. A simple, elegant formula that contains only Castor Oil, Hemp Oil, Peppermint Oil, Vitamin E, and intense color pigments, feels as good on the lips as it looks. Each Lip Tar includes a Short-Handled Precision Lip Brush for complete, opaque coverage. Wooooou I will give these a try.